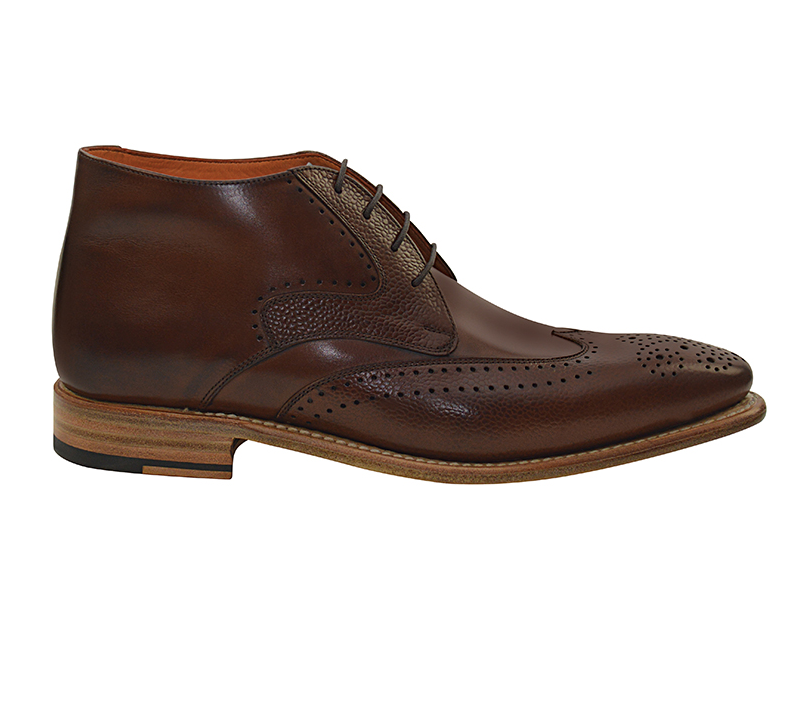 Awesome grained and smooth leather combination wingtip style boots. Featuring punch hole and medalltion toe detailing. Beautiful contrast color leather sole. Handmade in Belgium. Limited time Spring Sale. Pricing available while limited quantities last.